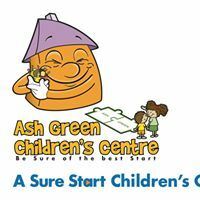 This free course delivered by WYCAS will run over 4 weeks at Ash Green Children’s Centre, 1 Sunny Bank, Halifax HX2 8RX. People aged 19+ who want to understand ways to manage money and stay on top of bills. How do I register or find out more? To book please telephone Ash Green Children’s Centre on 01422 243941. To find out more about the course please email Jane on jane.granville@wycas.org.uk or Sarah on sarah.coates@wycas.org.uk or telephone on 0113 2706291.